Revelation 1 records John’s powerful vision of Jesus, “someone ‘like a son of man’” (1:12) standing in the middle of seven golden lampstands. When Jesus speaks, He says to the terrified John “Do not be afraid. I am the First and the Last. I am the living One; I was dead, and behold I am alive forever and ever! And I hold the keys of death and Hades.” They are words that point to Jesus’ love, understanding and care as He says, “Do not be afraid.” They speak powerfully and straightforwardly of Jesus’ Lordship. And where is Jesus standing? Well, John wants us to be clear, “the seven lampstands are the seven churches” (1:20) And in 2018, Jesus still stands in the middle of His Church. In my role, I get to see some of what God is doing primarily across Methodist congregations in Ireland. Irish culture has changed radically since many of the congregations I know best were established, and continues to change at an astonishing rate. I have been asked to reflect on where I see life as congregations engage with the community and cultures in which they are placed. The themes, which I will develop, are simply the view from where I stand. A theological model of mission recognises that God is at work in the world, and that the task of God’s disciples is to join in with what He is already doing. This model is life-giving and exciting, not least in that it recognises God’s initiative-taking activity. It is, however, frighteningly easy to nod in the direction of that model, and then lapse into the default of asking God to bless what we think best. John’s vision was not simply of Jesus in the midst of His Church but of Jesus as Lord of His Church. I see life where Christians commit themselves to prayerfully looking to see where the Spirit is at work. The Methodist Church in Ireland has clearly heard and is responding to a call from God to pray - 24/7 Prayer is partnering with us in this. The focus for prayer is for renewal, for numerical and spiritual growth and that we would hear God’s voice as we engage with the communities in which we are placed. This model challenges a “franchise” Christianity. One size does not fit all, and faithful response to God will look different in different communities. In Sydenham in East Belfast members of the congregation prayer-walked their suburban community. They noticed the activity and life at the local train station and now offer tea and coffee to early morning commuters. In Kerry and North Cork, the minister felt the Holy Spirit’s stirring to establish a church. With a couple of others, he prayer-walked local towns and villages, asking God where to begin. In Millstreet, Co. Cork the Lighthouse operates out of a shop on the main street. A couple of days a week, they are open and serve coffee. Over normal conversation, they find themselves talking about Jesus. There is something powerful about that natural “gospel fluency”. In Limavady Methodist, up near the North coast, people had been praying about starting a “Kids and Carers” drop-in. Then they heard that the school across the road was about to close it’s “Kids and Carers” because of a lack of volunteers. Rather than starting their own, they made the courageous decision to volunteer in the school and help make the facility in the school the best it can be. The self-oriented decision would have been to run their own, and get people to come in to their place, but in crossing the road to the school they have found themselves engaging with all sorts of people, some of whom might not have gone into a church. Paul pushes us here to recognise that we need to be careful with our understanding of hospitality. Hospitality cannot end with simply welcoming people to our space as guests; it demands a willingness and commitment to be a friend, not simply to be friendly. Kathryn, then living in Newcastle, in Co. Down made a commitment to build relationships at the school gate, as did Simon and Cheryl who are part of the leadership team in the Ignite Network in Dublin. In both these cases, small missional communities developed, slowly. In Centenary, in Dublin, members of the congregation developed relationships with the people coming to the English classes they offer and discovered that some of those learning English were talented musicians. They now play in the church band. A commitment to missional discipleship is part of Methodist heritage. John Wesley organised Christians into small groups of three or four called “bands” and into classes of about a dozen, the aim of which was to help each other to be more like Jesus, not simply in the small group but every day. A group of Methodist congregations, from Inishowen through Belfast and Lisburn, Dublin, Tipperary and Kilkenny have been working with Neil Hudson from the London Institute of Contemporary Christianity via Skype. Based on the “Imagine Church” material they are helping each other to be Christians on their “frontlines” and working together on how “gathered church” on a Sunday needs to develop to equip these everyday disciples. Others are part of Wesleyan bands. Fergus O’Ferrall, the Methodist Lay Leader, speaks of how being in a “band” has not just changed the way he sees Jesus, but it has changed the way he sees others as well. There are more stories to tell of established congregations trusting God enough to take risks and go on adventures and of what God is doing in multi-ethnic congregations like Waterford, featured in a previous edition of VOX. Alongside those are stories of struggle as Christians wrestle to see the future God has for them. This is just a glimpse of the view from where I stand, in the part of God’s Church, which I get to serve. And Jesus? Jesus still stands in the middle of His Church. 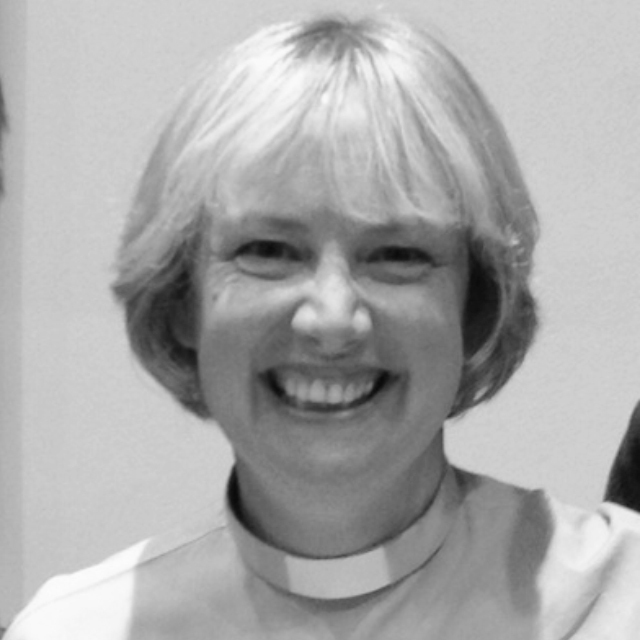 Heather Morris is a Methodist minister currently serving as General Secretary of the Home Mission Department of the Methodist Church.